Texas can get hot and Dallas is no different. To avoid melting in the summer heat, the best times to visit are in the spring (April/May) and in the fall (September/October). 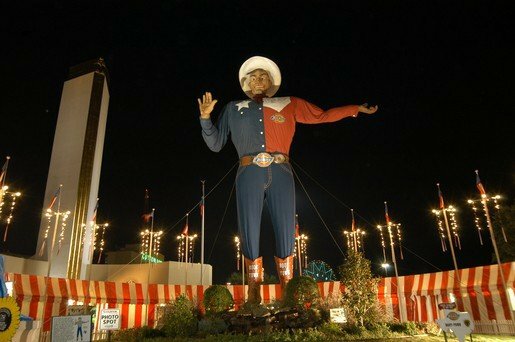 Luckily, some of the best family friendly events happen during the spring and fall including the Texas State Fair and Holiday Parade. Texas may be the Lone Star State, but these activities in Dallas-Forth Worth defy this brand with the best of the best reviews from Trekaroo parents. Families love exploring the aquatic world and admiring the fantastic exhibits (including shark feedings!) at Dallas World Aquarium. The aquarium also does a nice job showcasing interesting diversity of aquatic life with manatees, crocodiles and otters. 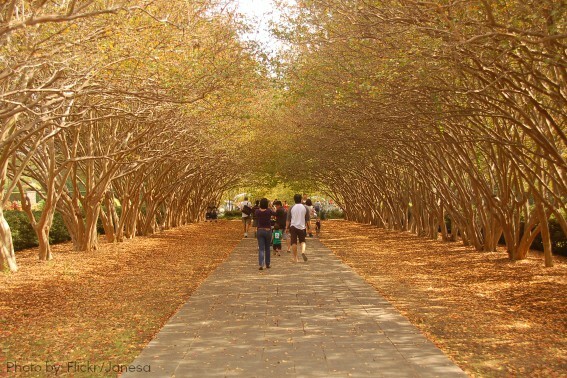 The Dallas Arboretum and Botanical Gardens is one of those places that is enchanting to parents and children alike and will turn the imaginative engine that makes a kid’s world go ’round. Parents will be surprised at how the complexities of nature captivate their child’s eager minds. Dallas visitors will find the Museum of Nature and Science to be an exciting place for kids to investigate and play. While aspiring paleontologists will demand their pocket vest to excavate fossils underneath a looming T-Rex, budding scientists marvel at the molecular discoveries of Watson’s and Crick’s era and explore the genetic code in the DNA exhibit, and future astronauts will love the planetarium. Families more interested in history than nature will find the next two museums to be right up their alley. Dallas has the unfortunate legacy of being the site where John F. Kennedy was assassinated. The Sixth Floor Museum catalogues the history surrounding this event in the area where Lee Harvey Oswald fired his shots. The material of this museum is not well-suited for the youngsters, but it is recommended as an educational and intriguing outing for older students. Parents should use their best judgment in its appropriateness for their children. The museum is not all gloom, it also focuses on the life and story of America’s most talked about political family. Take a visit to the Museum of the American Railroad and watch youngsters dive into the old locomotives and hang on every word of the knowledgeable staff. It’s also in a great downtown location. Looking to dive deeper into the Dallas area’s history and culture? Check out these 5 cross-cultural experiences for kids. Texans love their cars and Dallas is no different. However, don’t be fooled. If you’re only in town for the weekend and primarily visiting the downtown attractions, don’t worry about renting a car. Public transportation will be adequate. However, if you’re planning on being in town for more than 3 days, I would recommend renting a car and visiting some of the attractions that are on the outskirts like Six Flags or heading over to Fort Worth. Be sure to check what your hotel’s parking policy is because parking fees can get quite expensive. All the major car rental agencies (Hertz, Avis, Enterprise, Budget, Dollar and Thrifty) have offices at DFW airport, Love airport, and other locations around the city. If you’re planning on traveling mostly around the downtown Dallas area, ditch the car and use the Dallas Area Rapid Transit (DART) buses and light rail which provides 45 miles of light rail and 120 bus routes. Visit www.dart.org for routes, schedules, and fare information. 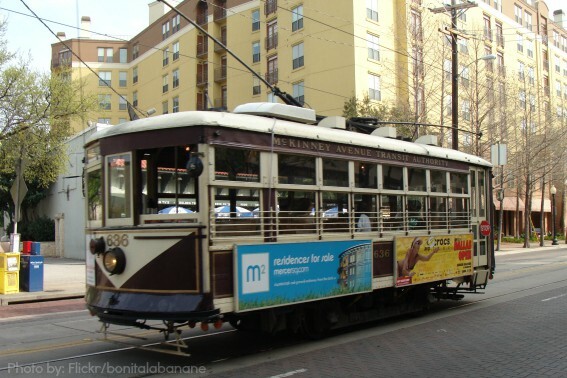 Whether you use it to get around or just want to take your little ones for a “ride,” the free M-Line Streetcar (aka McKinney Avenue Trolley) is worth using. Our family used it to get from our downtown hotel to the Dallas Arts District. A few of these trolleys date as far back as 1906. Catch one year-round between 7am and 10pm weekdays, and 10am and 10pm weekends (every 15 min. during peak and lunch hours, every half-hour off-peak hours and weekends). Looking to explore a little more of the area? Check out these Dallas area family-friendly day trips. 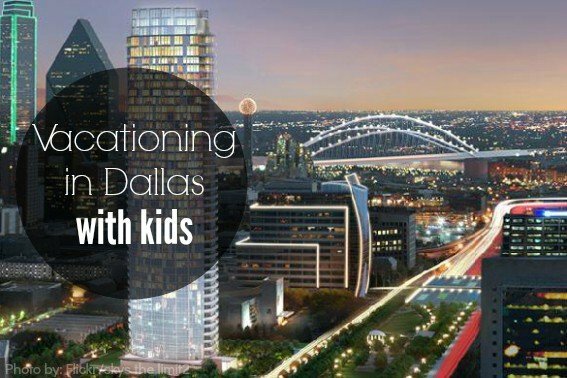 Located in downtown Dallas a block away from the Mockingbird Station, the Hotel Palomar is great for families without having to spend a fortune. Clean, modern with a boutique-hotel feel, the kids will love the pool and Kimpton Kids welcome packages. When traveling with kids, who doesn’t want a second room to hang out in when the kiddos go to bed. Families love suite-hotels and many of the suite hotels in Dallas stand at the top of the list as family favorites. The locations of these hotels away from the hustle and bustle of downtown, but great value for money (plus free parking). Complimentary breakfast, outdoor pool, and complimentary airport shuttle are just some of the benefits of staying at the Hyatt Summerfield Suites, an all-suite hotel perfect for families. The location provides easy access to the main highway and the staff is great to families. 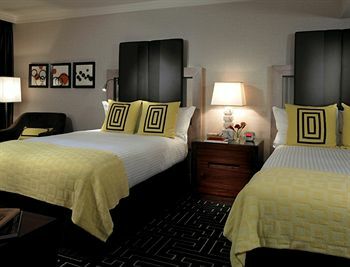 Another, all suite-hotel is the recently renovated Homewood Suites in Dallas’ Park Central area. Complimentary breakfast every morning, complimentary dinner Monday through Thursday, an indoor pool, and fully equipped kitchen with a dishwasher if you want to save a bit more money on food. For more ideas on the best bets for families in the Lone Star state, check out our Top 10 Things for Families to do in Texas! Great way to include all your posts about traveling in Dallas!